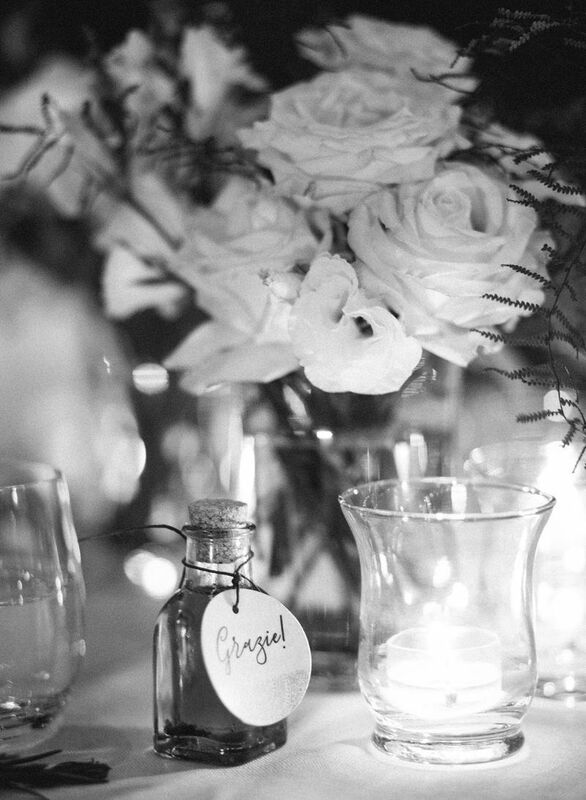 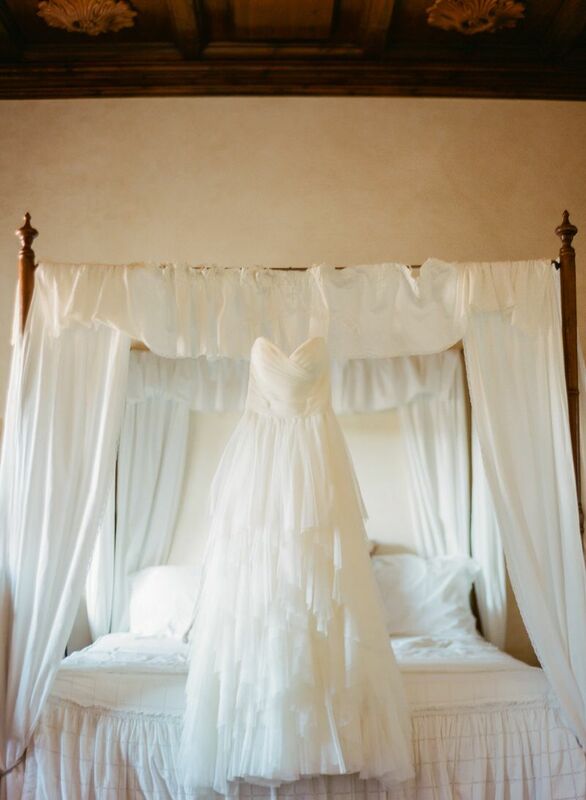 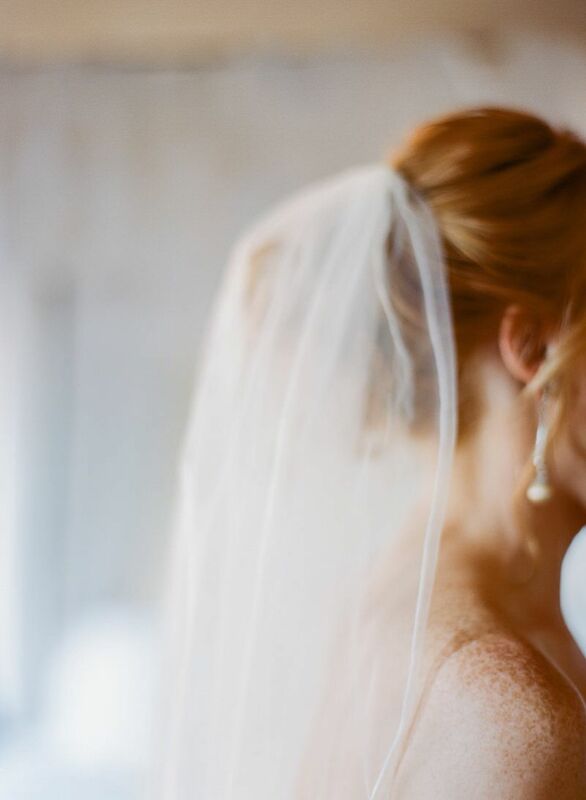 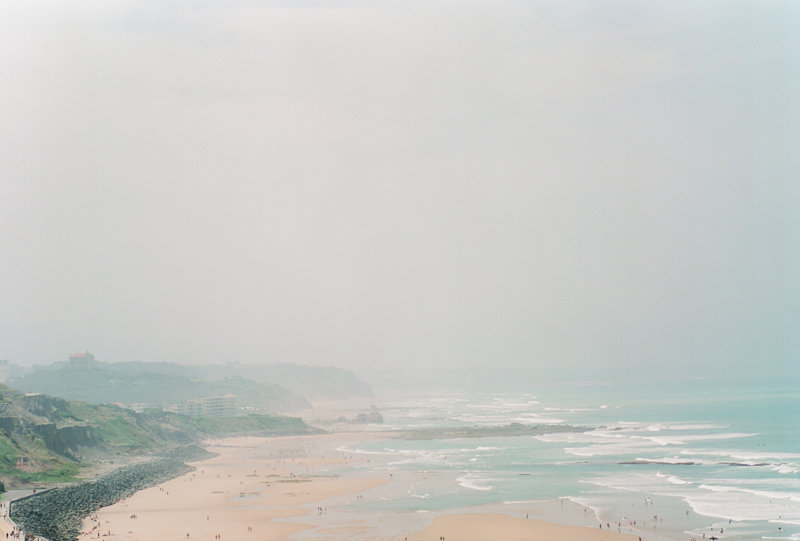 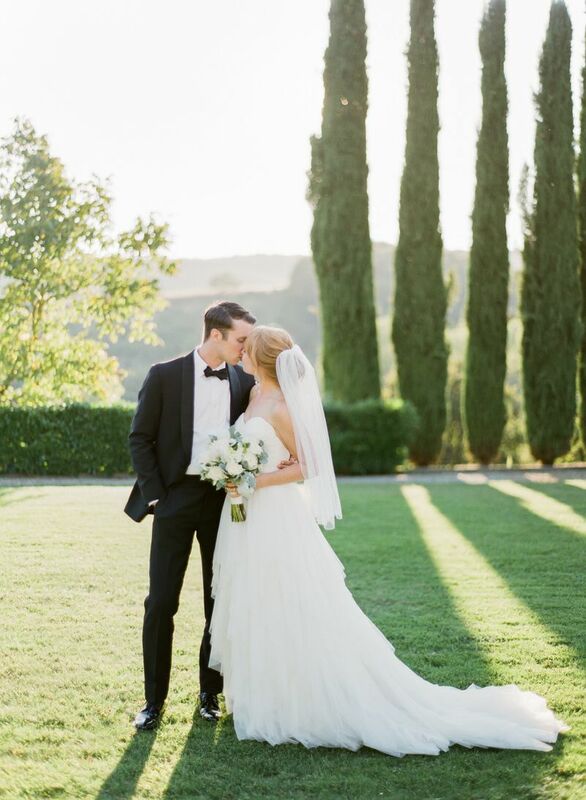 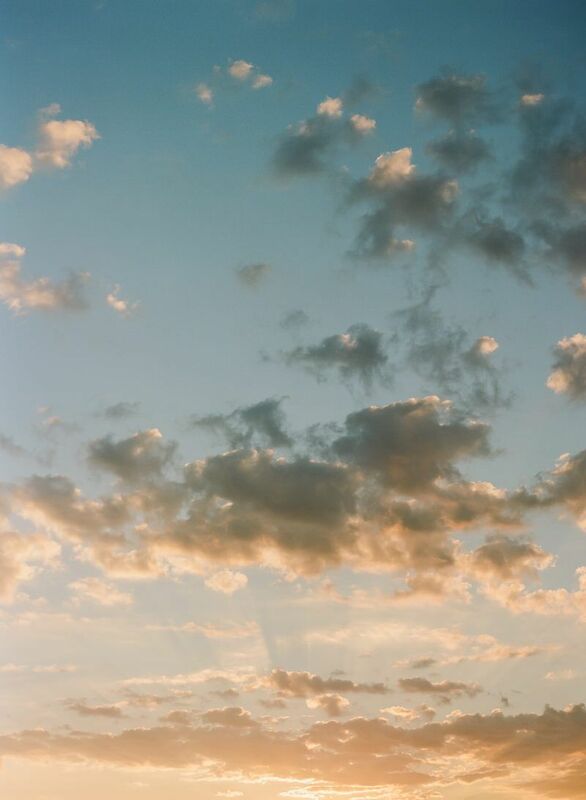 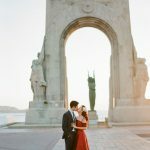 Whitney and Steven’s intimate destination wedding was what the dreams are made of. 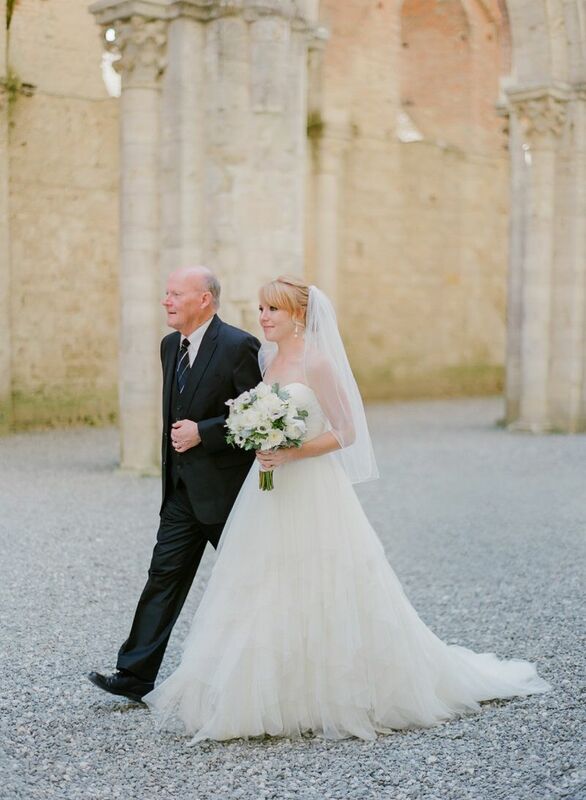 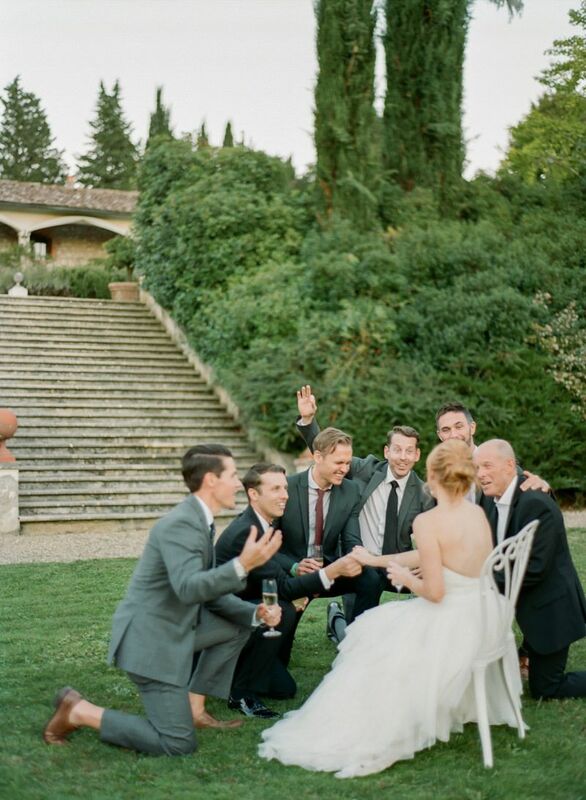 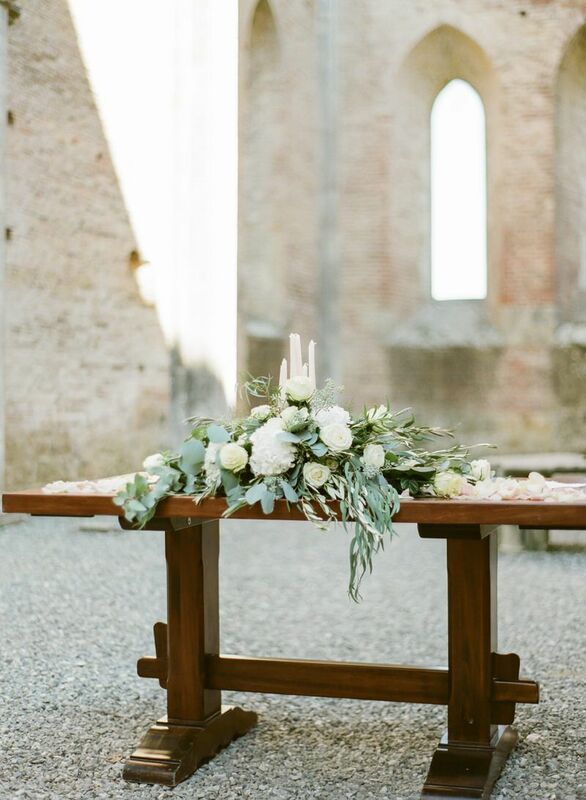 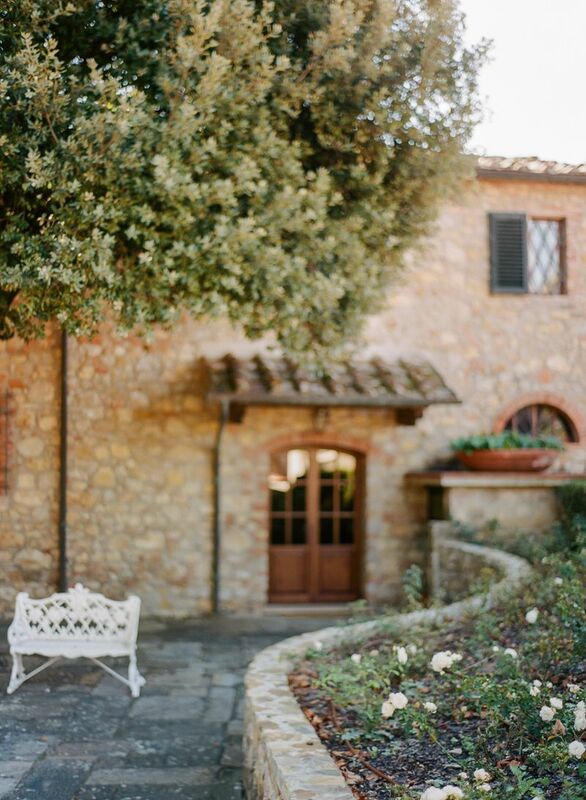 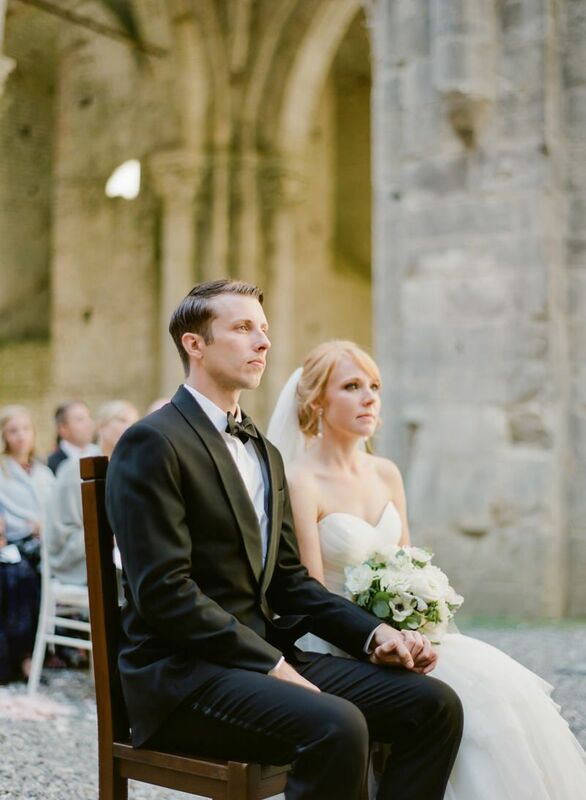 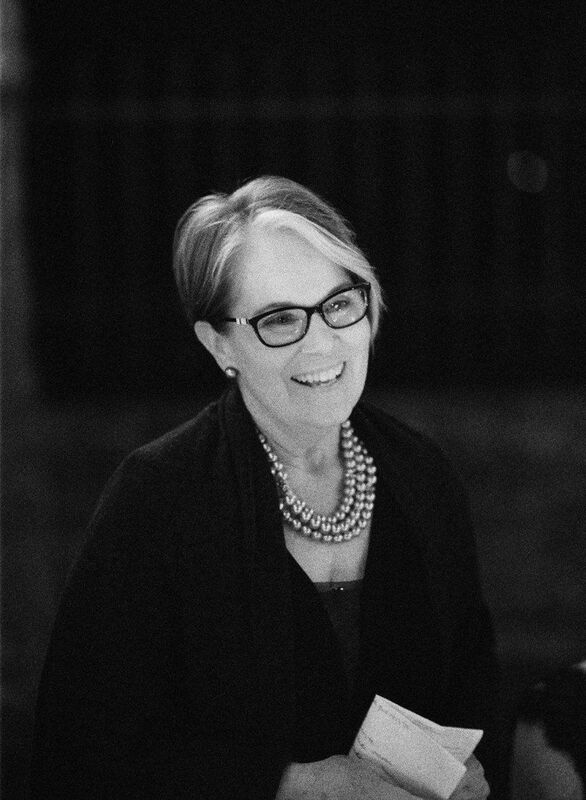 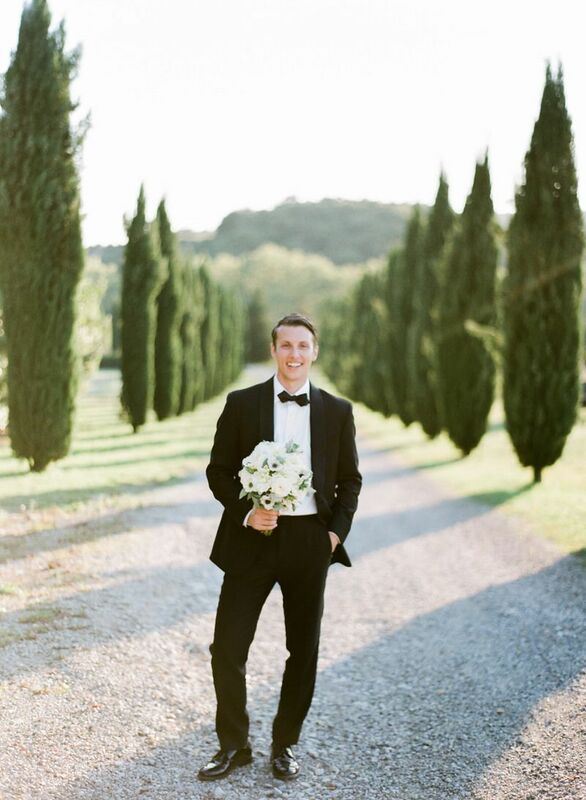 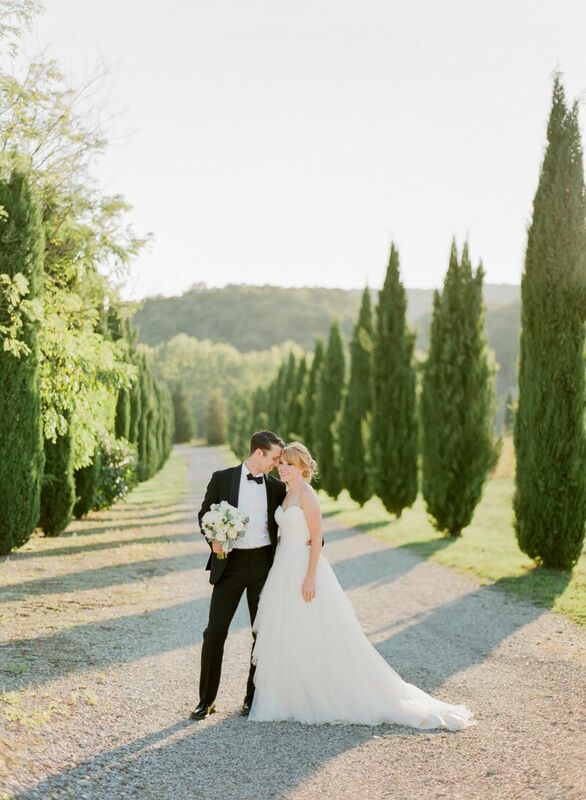 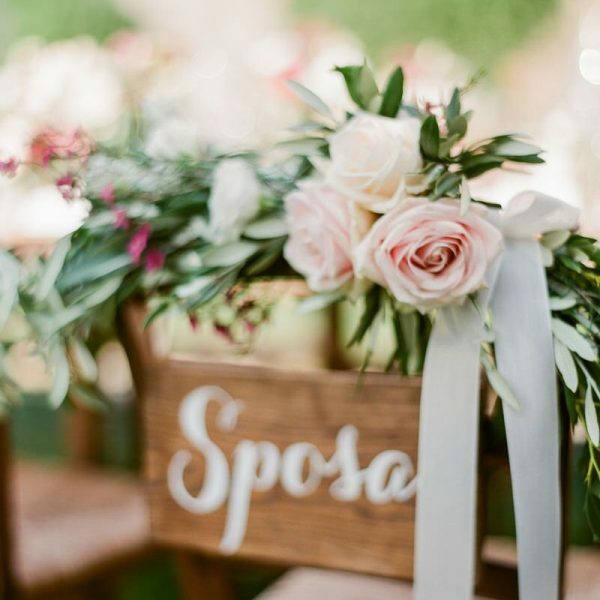 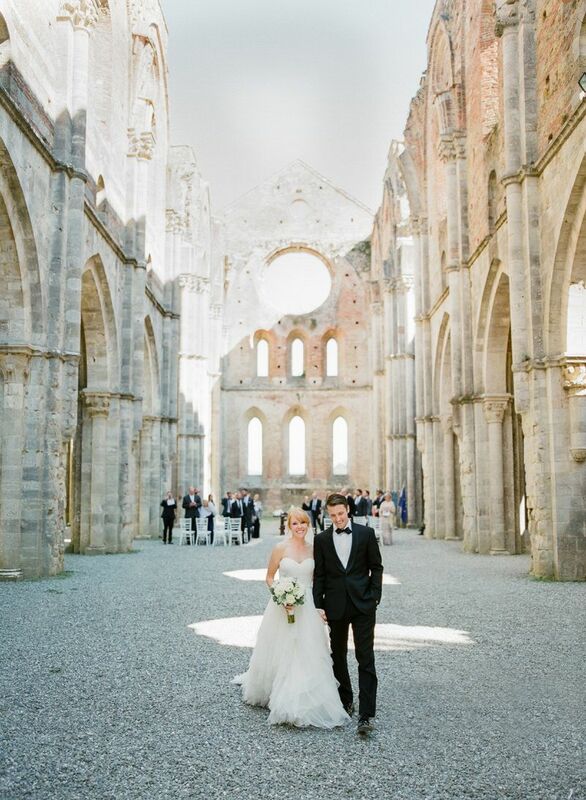 From saying the vows in ancient abbey of San Galgano, drinking Champagne among the Tuscan landscape and to an incredible al fresco reception full of emotions toasts by the family and their closest friends. 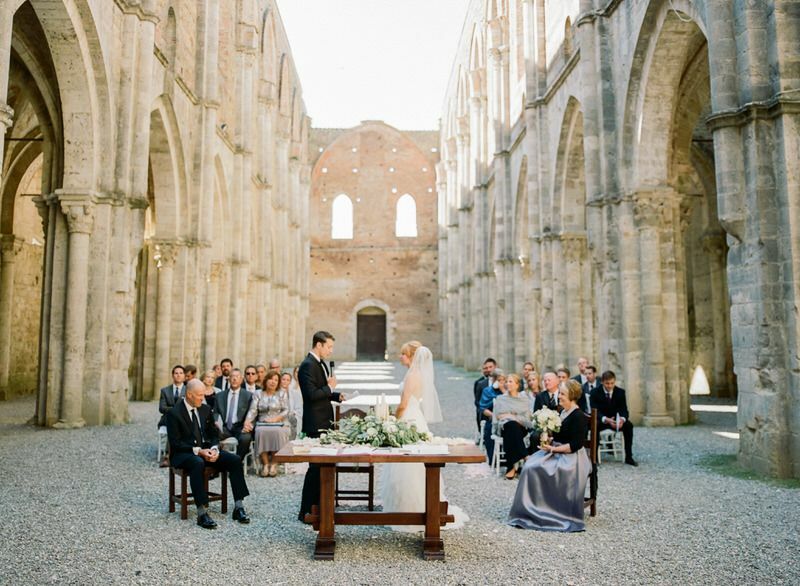 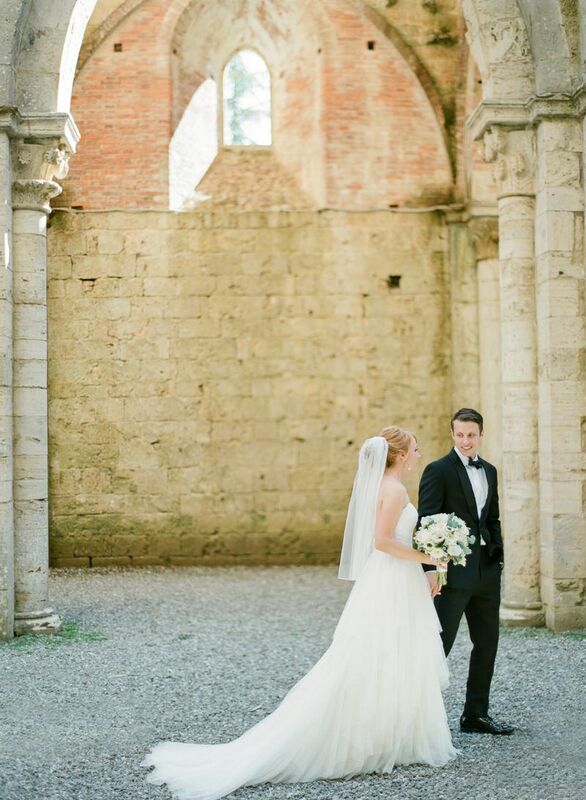 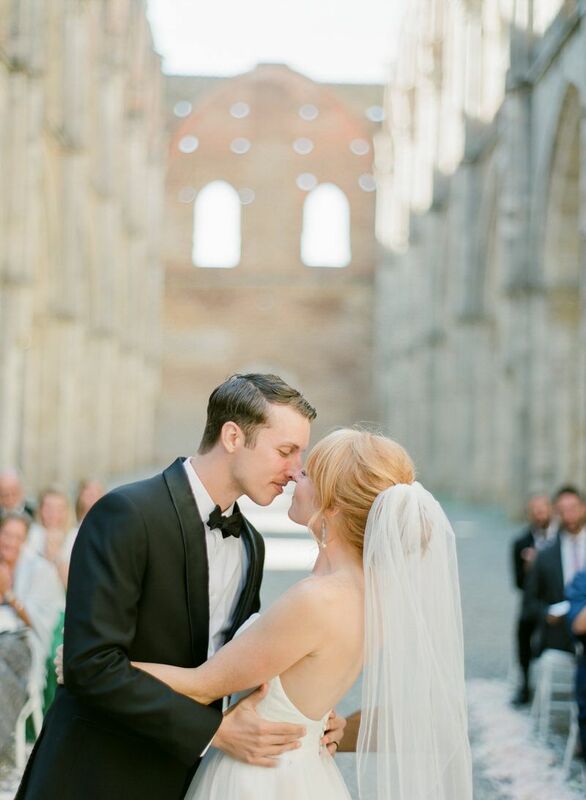 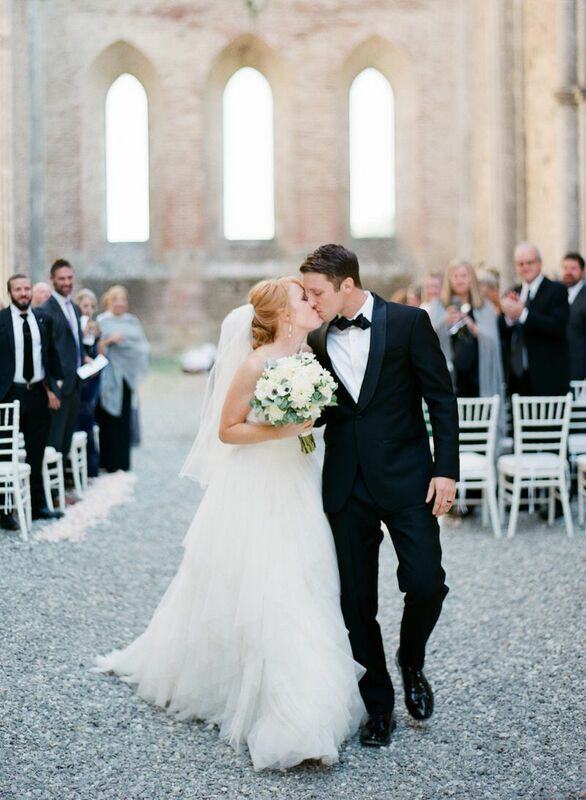 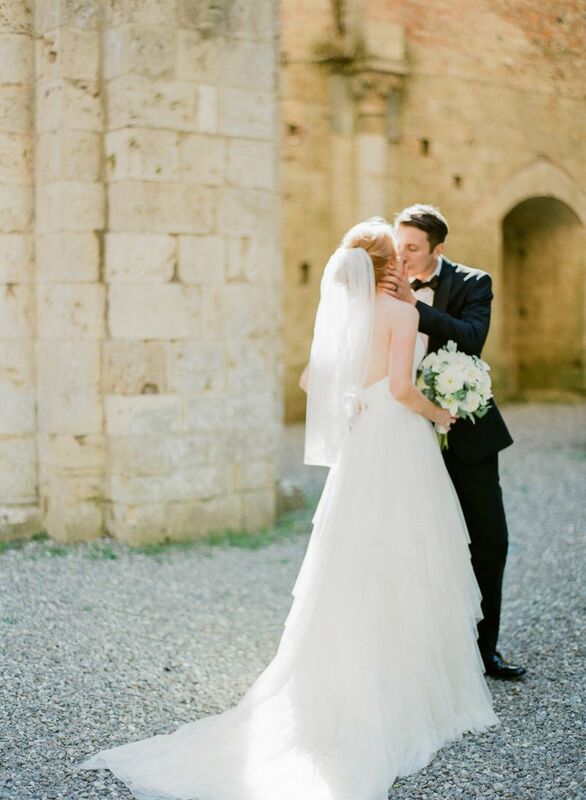 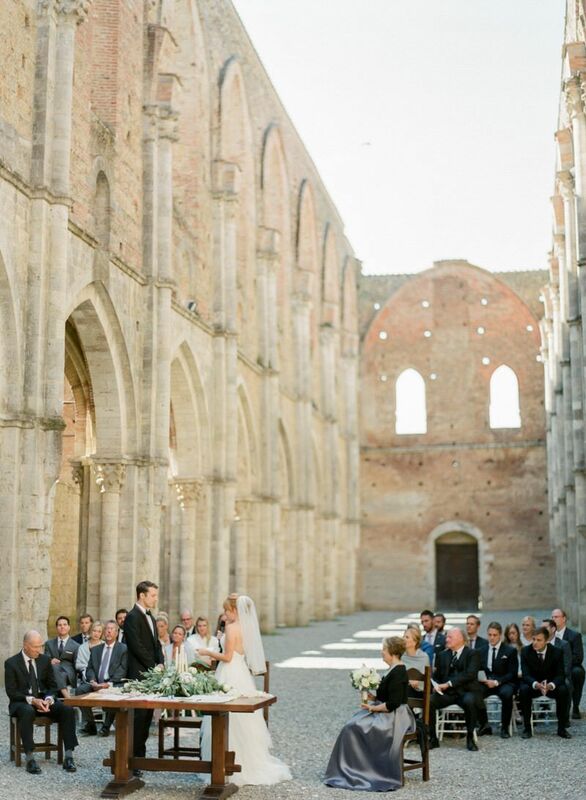 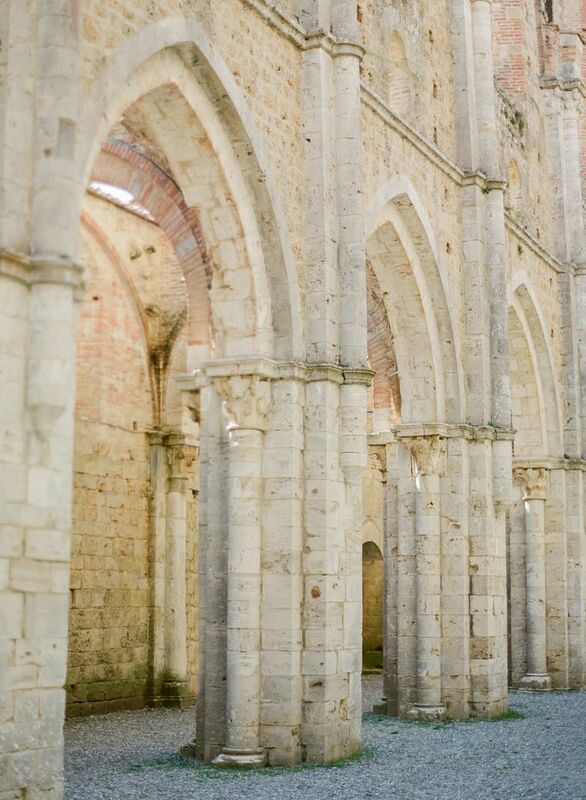 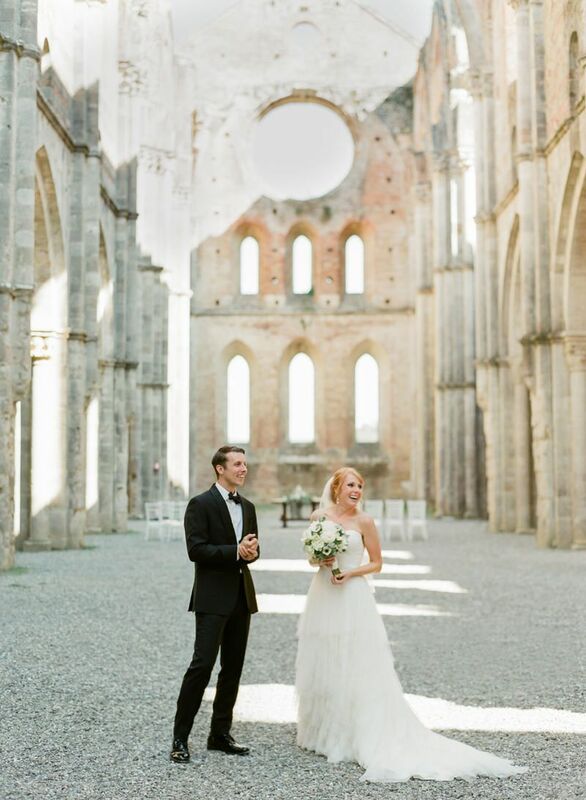 They tie the knot in San Galgano, a roofless 12th-century abbey, on a warm and beautiful day in late September. 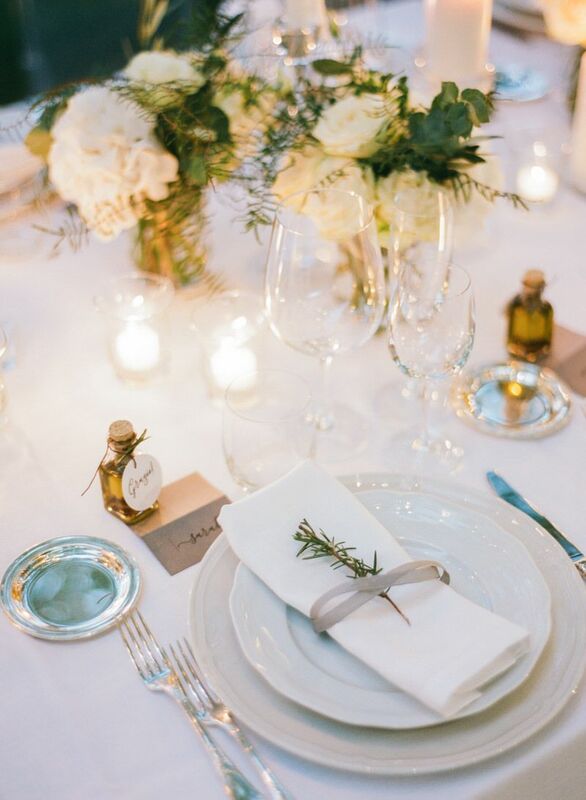 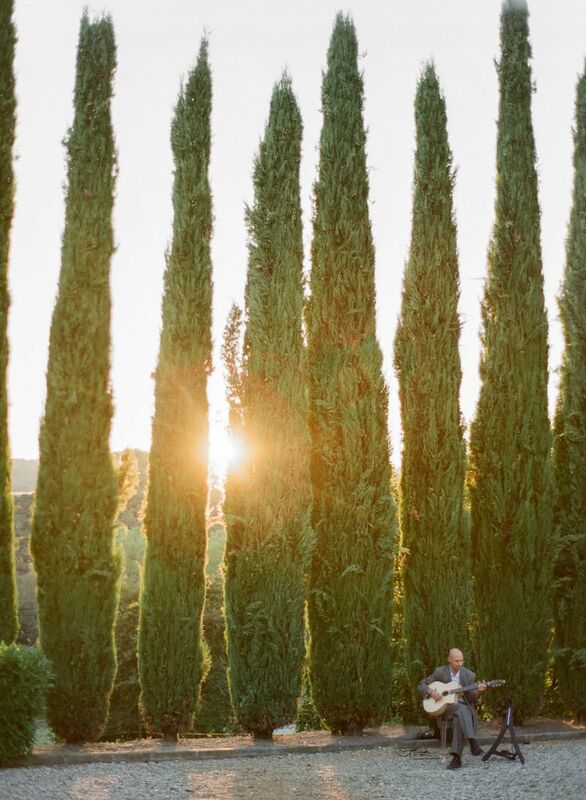 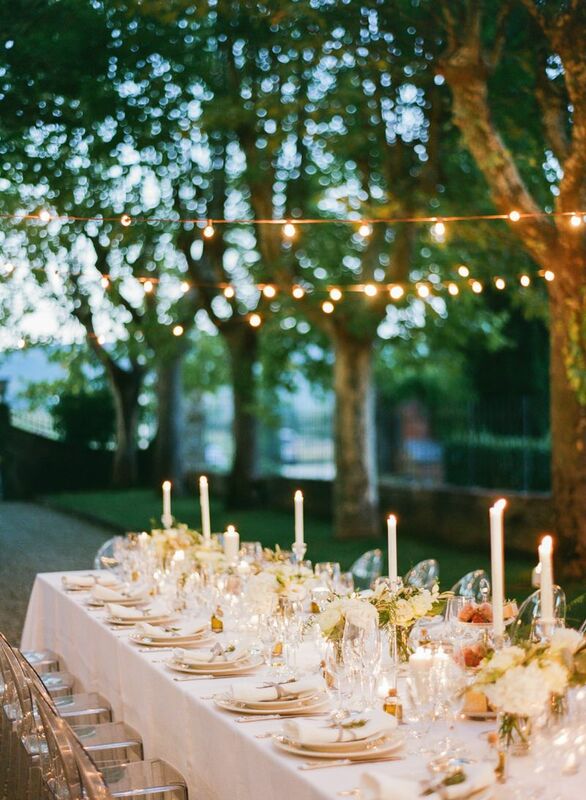 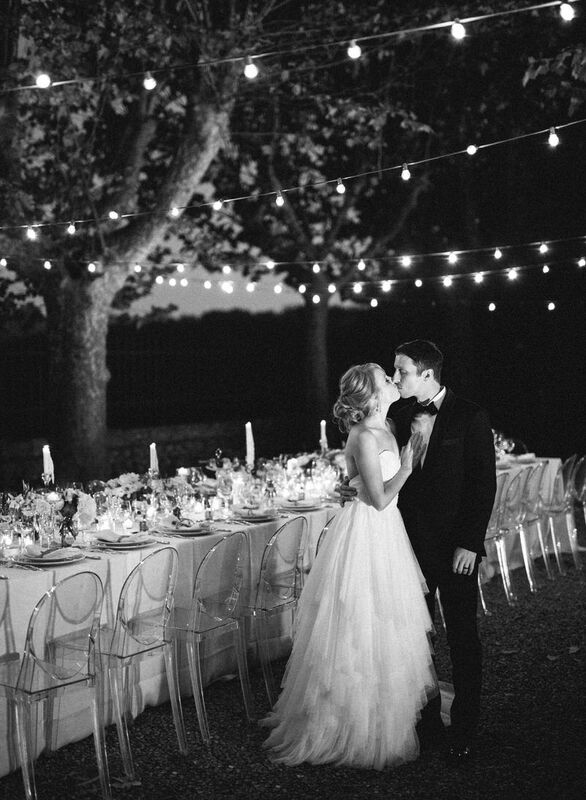 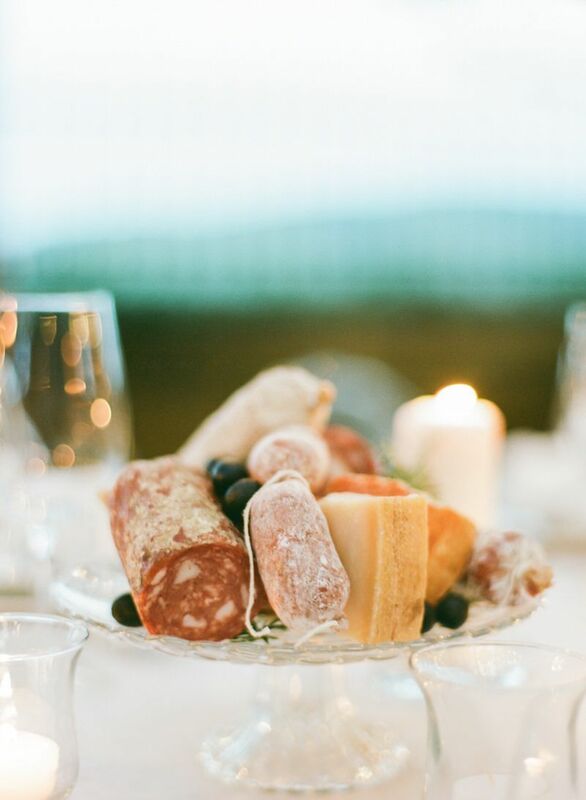 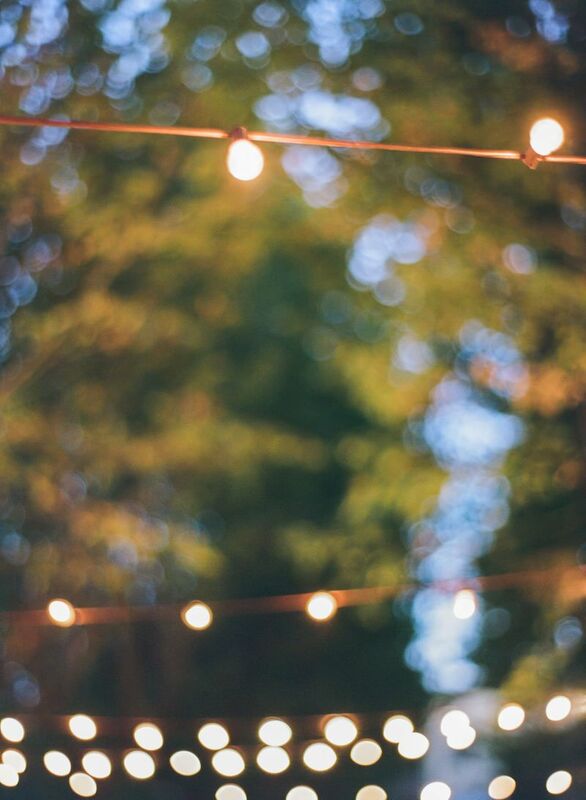 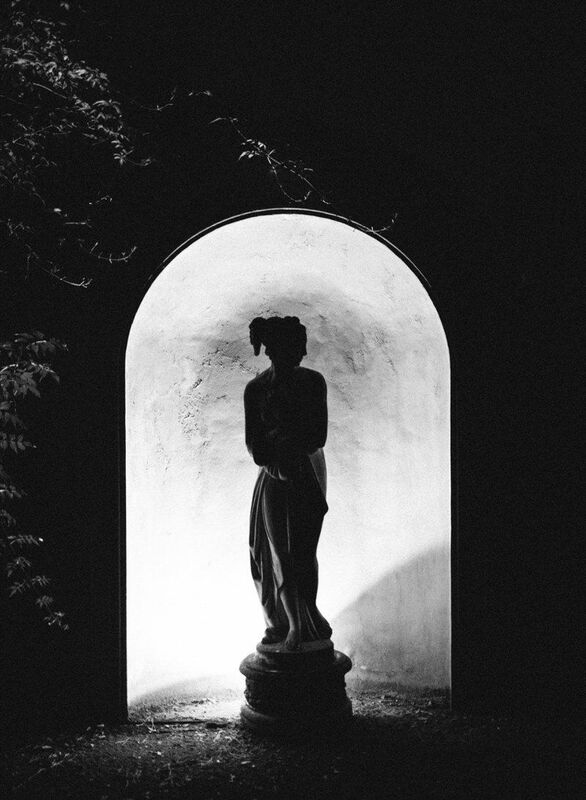 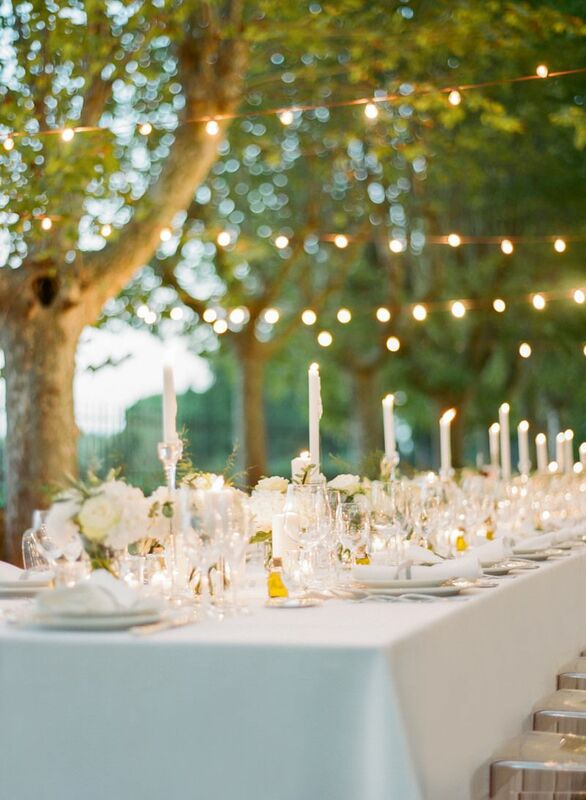 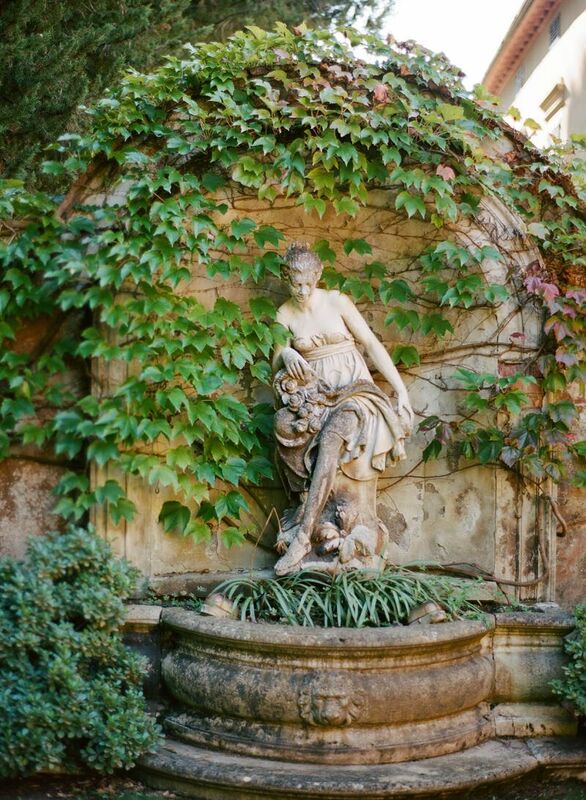 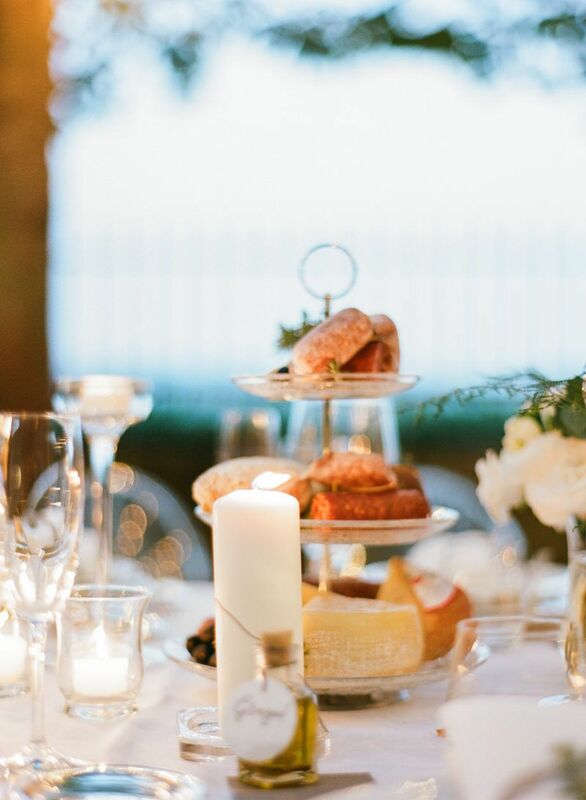 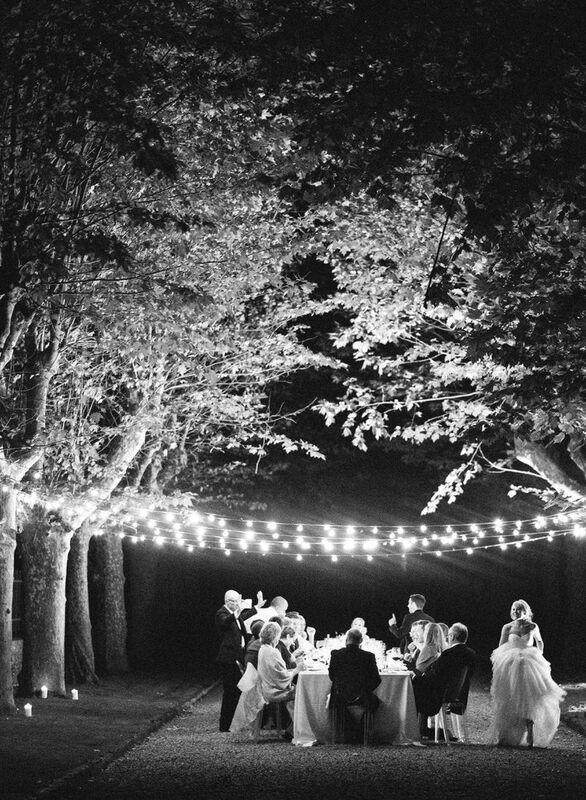 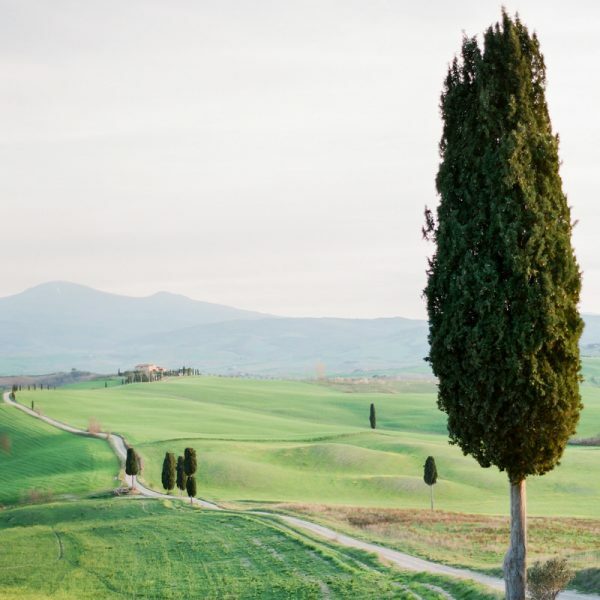 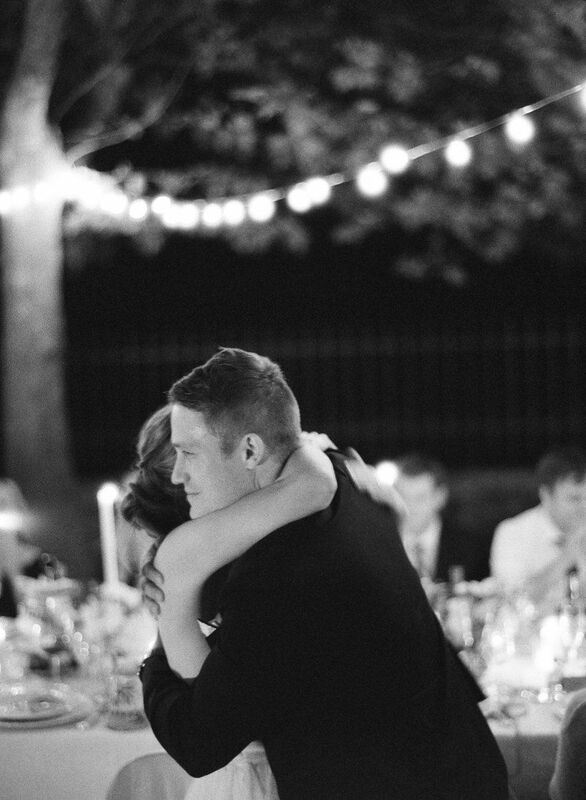 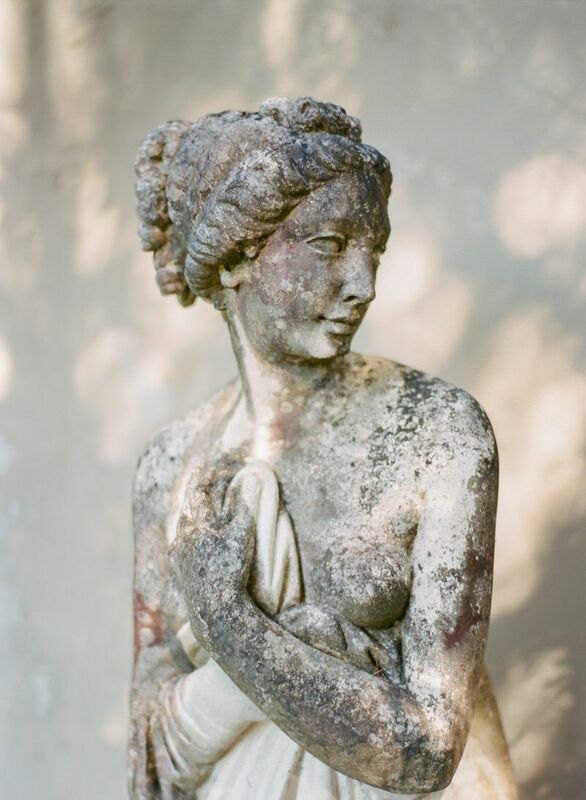 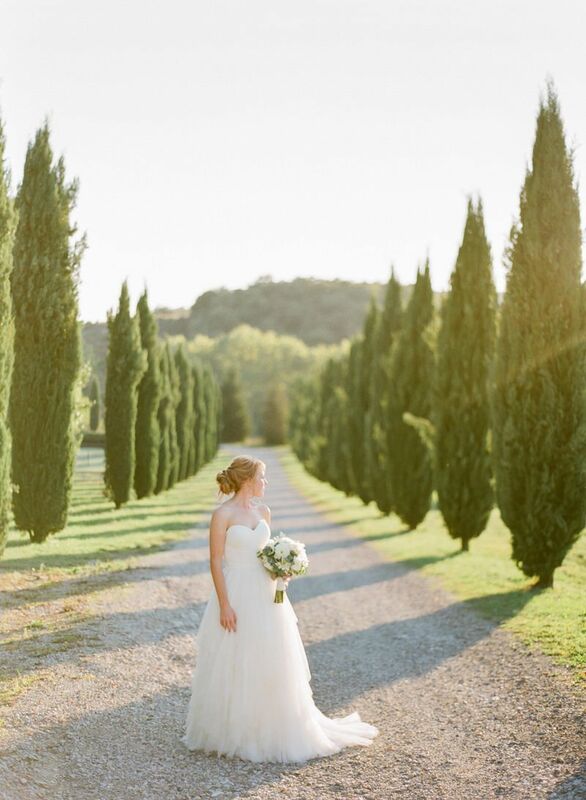 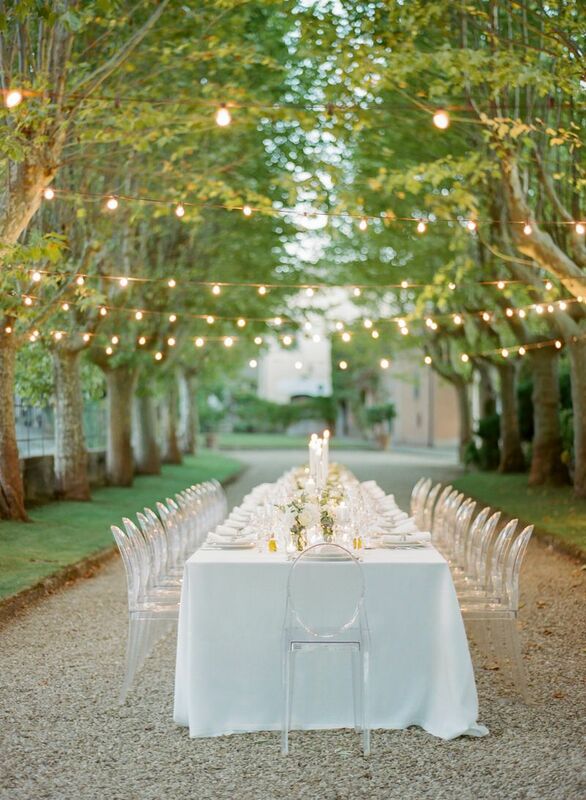 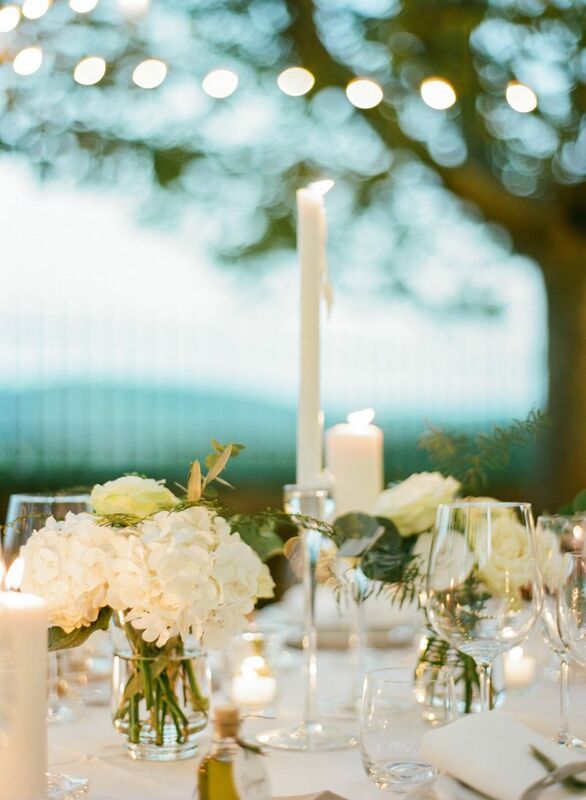 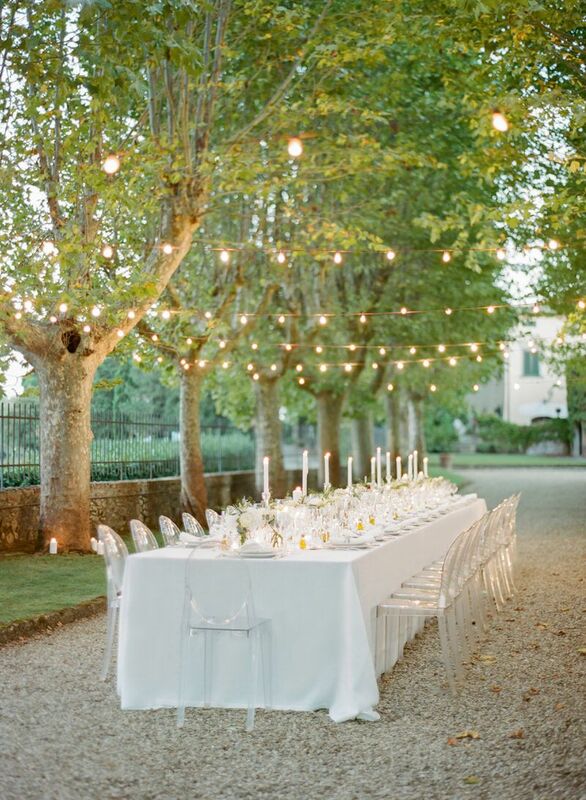 They had rented an amazing venue called Villa La Selva in Tuscany, and there, under a sky of twinkling lights, they had the most spectacular dinner feast. 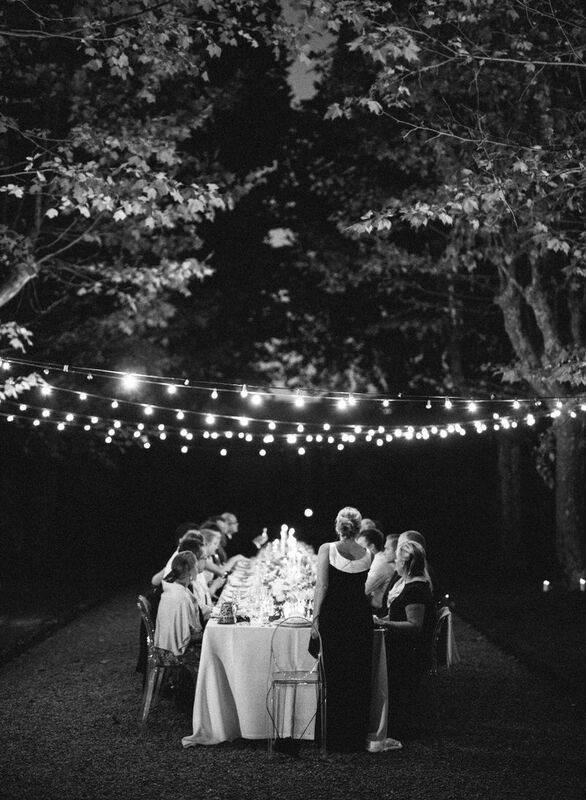 The traditional Italian meal was served family style and wine flowed freely late into the night. 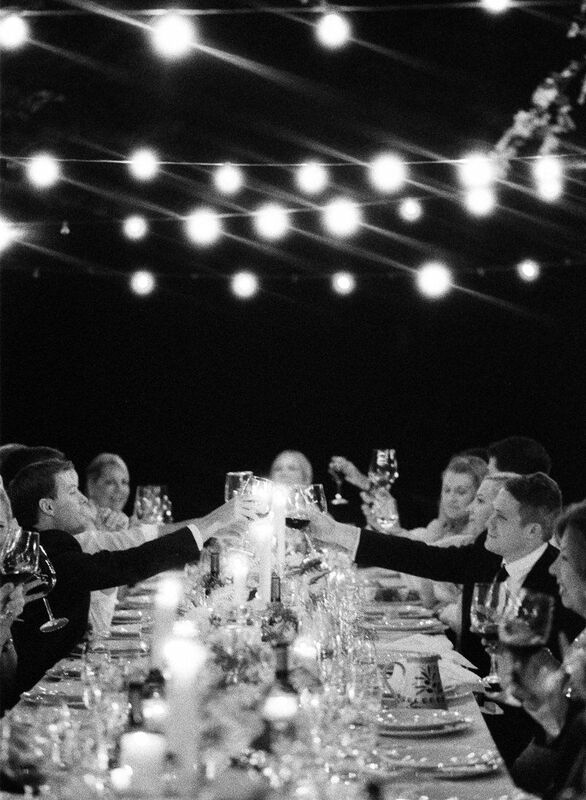 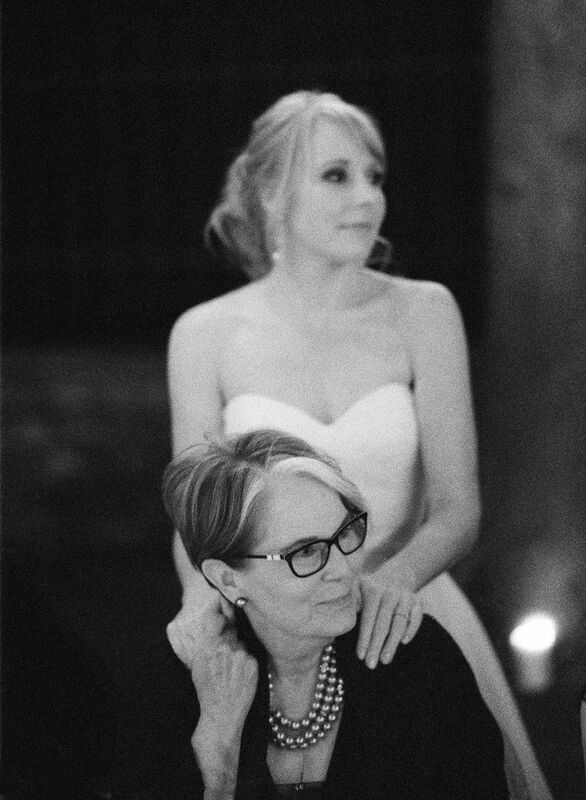 Throughout the evening’s celebration, the people they love most in the world shared stories that made them laugh, made them cry, and left them feeling so incredibly blessed to have such amazing people share this truly remarkable day with them. 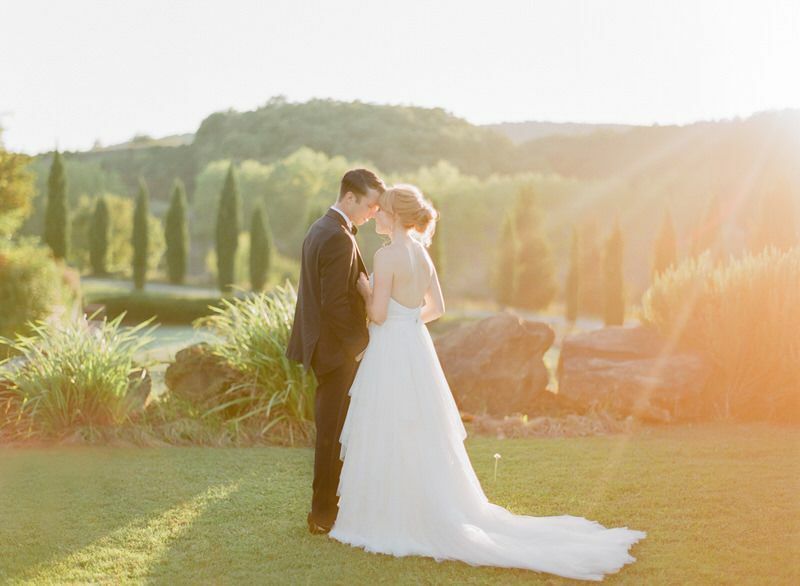 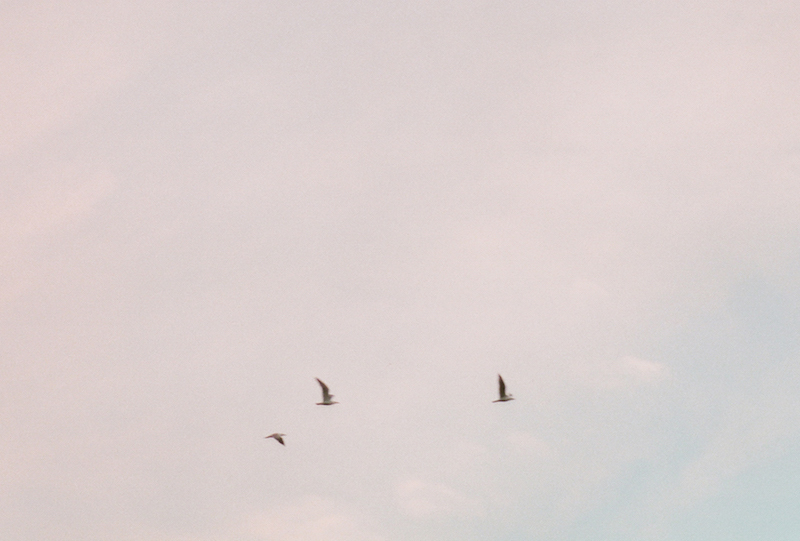 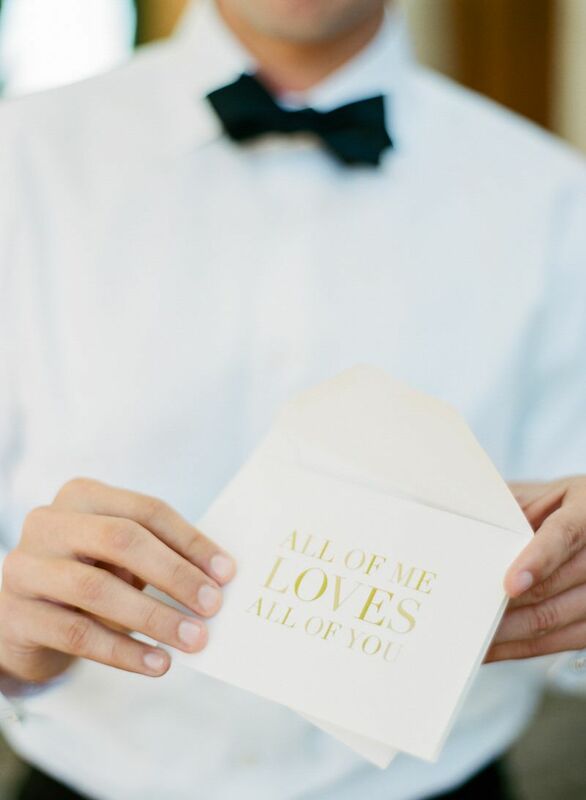 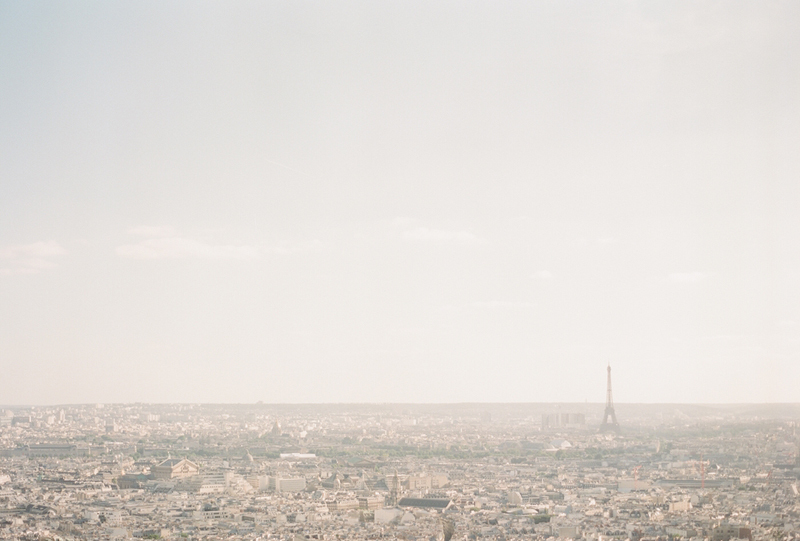 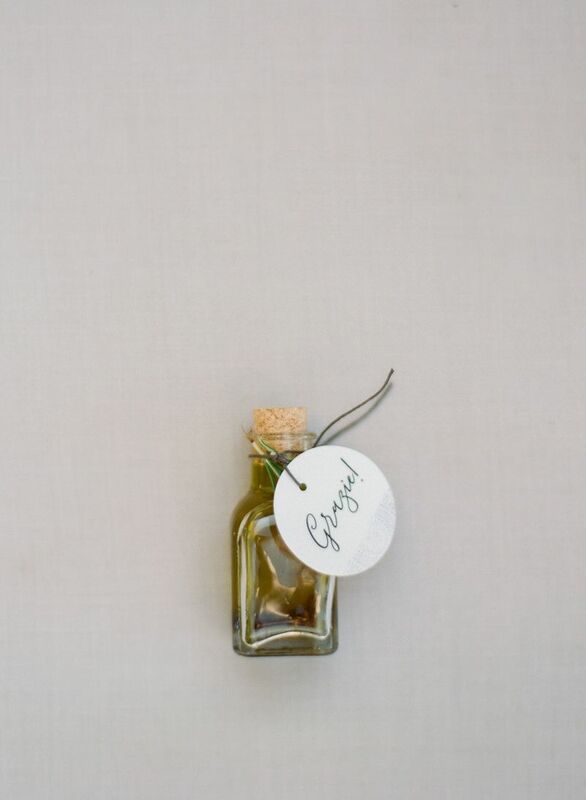 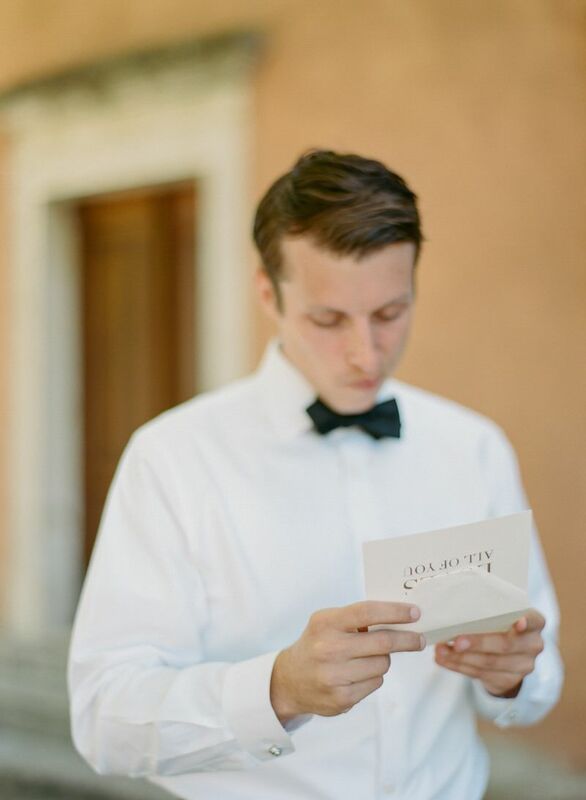 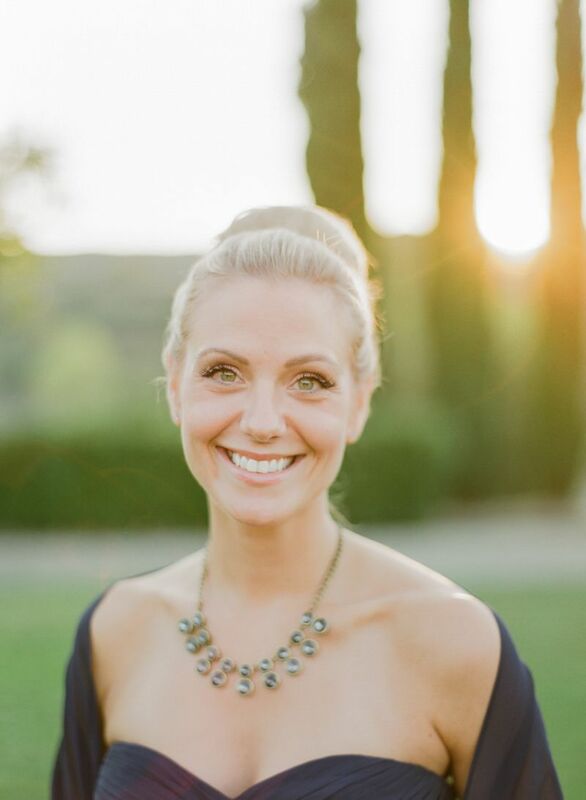 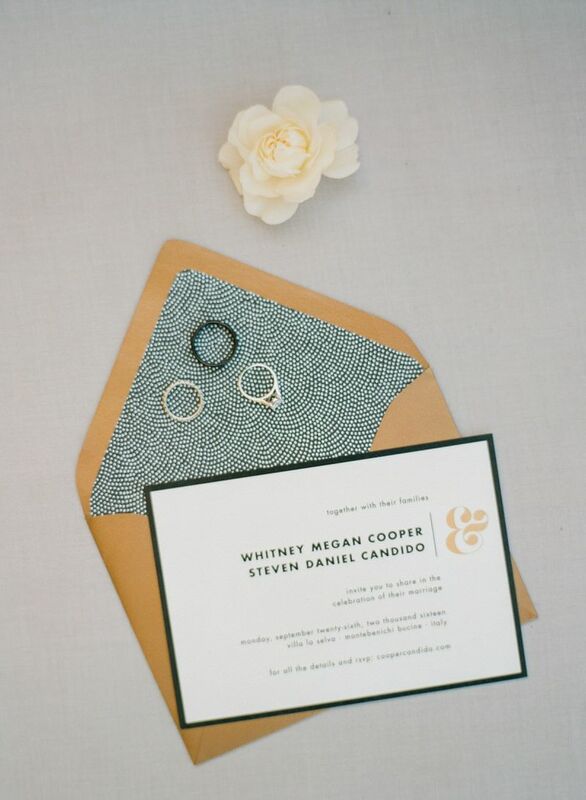 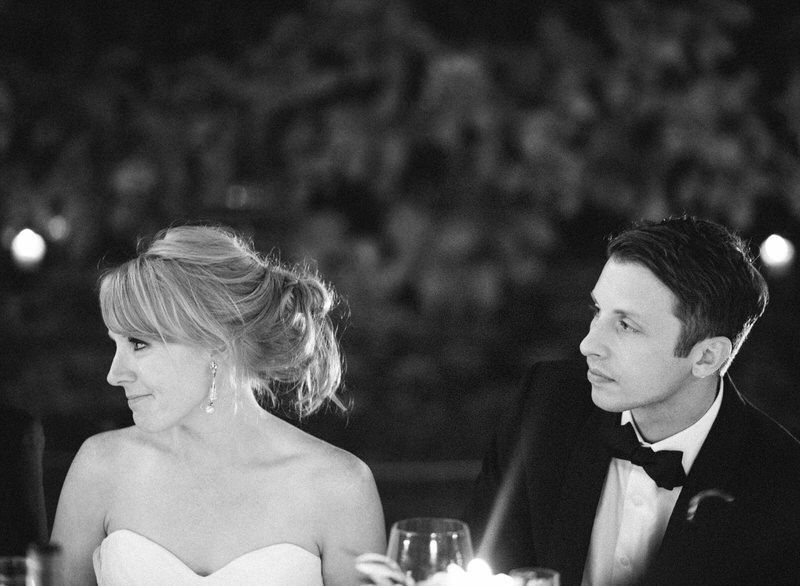 You can see more from this wedding on Style Me Pretty!